Learning to stick to a budget can be a little hard at first. It’s not really something that comes naturally to most people. Struggling to maintain a budget for your money is actually pretty common when you’re just getting started. But when you know the different things that can get you sidetracked from your plan and deal with them, you’ll succeed with sticking to your budget better than you ever thought you could! Below I’ll show you 10 simple things you can do to stick to your budget, even when things get difficult. But before I cover those 10 things I thought I’d talk about a couple of items most people (including me!) struggle with when trying to get into the regular habit of doing a written budget every month. Two of the biggest problems that I see people dealing with when getting started with a budget are fear and a lack of confidence. Let’s face it, when you hear the word “budget”, most of us conjure up images of deprivation and extreme frugality. Would we be deprived of all the good things in life just so we could get our finances under control? Would we still get to eat out? Could we have any fun, or would we be bored and broke? Would we be able to buy the same food at the grocery store? It’s a difficult thing to start changing the way you handle money. Anytime change is afoot in your life, there are a lot of unknowns that can derail you from ever getting started if you let them. But one thing I’ve learned about change is that it’s never as scary as it seems once you get started. Another problem I see a lot when my readers decide to start doing a monthly budget is a lack of confidence. Doing a detailed written budget is something that most people have never done before, and because of that they’re not totally confident in what they are doing. I had some of these same struggles when I started budgeting too. 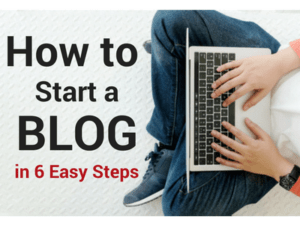 The fact is it actually is a little hard to get started just because it’s something new that you need to learn how to do. But here’s the deal- it’s only 3rd grade math! It will take a little practice to wrap your head around what you’re doing, and it won’t be perfect the first time. But the more times you do it, the easier it gets, and you wonder why you ever thought this budgeting stuff would ever be hard in the first place. Practice beats a lack of confidence. Doing a written budget is something you should do every month, forever. Once you get started with a budget, it can be easy to do it for a while, but eventually your commitment tends to wane and you don’t do it long term. That’s why I came up with these 10 simple tips to help you stay motivated and on track to stick with budgeting for the long haul. Make sure you write down your goals for your money. Make your goals specific, with a date attached. For instance, if you want to get out of debt, write down how you’re going to do it and when you want to have all your debt paid off. If you want to save “x” amount of money by a certain date, write it down. Written goals have a way of kicking you in the pants and keeping you motivated when you make them specific and review them regularly. Budgeting is about spending your money on paper before you spend it in the real world. But no matter how good you are at budgeting, you can’t predict every single thing that might happen in the next month. That’s why you should have a little padding in the budget to help with unexpected expenses. This is a little different than an emergency fund in that it’s not for emergency expenses. It’s for those little unexpected expenses that come up (like your child’s last minute school project). Just label it as “unexpected” or “other” in your budget and you’ll have that padding as you need it. God wants us to be good stewards of the resources he provides us with, and this includes money. When you respect the value of money and understand that it’s a God given resource that should be managed well, you’re much more likely to pay attention to how it flows in and out of your life. If you show me all the transactions in your bank account, I can tell a lot about you. When it comes down to it, how you treat your money is ultimately a reflection of who you are. Spend too much on impulse purchases? Waste money on cigarettes or alcohol? Buy clothes that you don’t wear? Spend too much on fast food and sodas? Spend money trying to keep up with your friends? Sometimes positive personal change starts with your wallet. If you want to quit smoking, lose weight, and stop letting stuff rule your life, then alter your budget to help make those goals a reality! I’ve seen a lot of people get motivated and start budgeting their money. However, I’ve also seen most of those people not stick with it. Of course, the ones that stick with it end up being the ones that are successful at getting out of debt and mastering their financial situation. Make the commitment to do your monthly budget every single month no matter what. If you have to write out a commitment on paper and sign your name to it so you’ll be reminded of it, then do that. No matter what obstacles stand in your way, your monthly budget is your ticket to financial freedom, so commit to doing it every single month and you’ll see the rewards as a result. Remember, doing a budget is not about self-deprivation, it’s about achieving financial freedom. Don’t forget to have a little fun along the way. Give yourself a small reward occasionally for a job well done. When you do a good job at sticking to your budget, a little positive reinforcement can be a great motivator. Set aside a few dollars in your budget to reward yourself for being financially disciplined. Your reward may be something as simple as an ice cream cone or a fancy coffee. But whatever it is, make sure it’s an enjoyable treat that makes you happy. Just don’t go overboard and let it blow your budget (or your waistline!). Sometimes it’s hard to go it alone when your starting something new. If you’re married, your spouse will hold you accountable (assuming they are on board with the plan). If not, find a friend or family member who is willing to help you be accountable to your written budget. Ask your accountability partner to check in with you once a week. 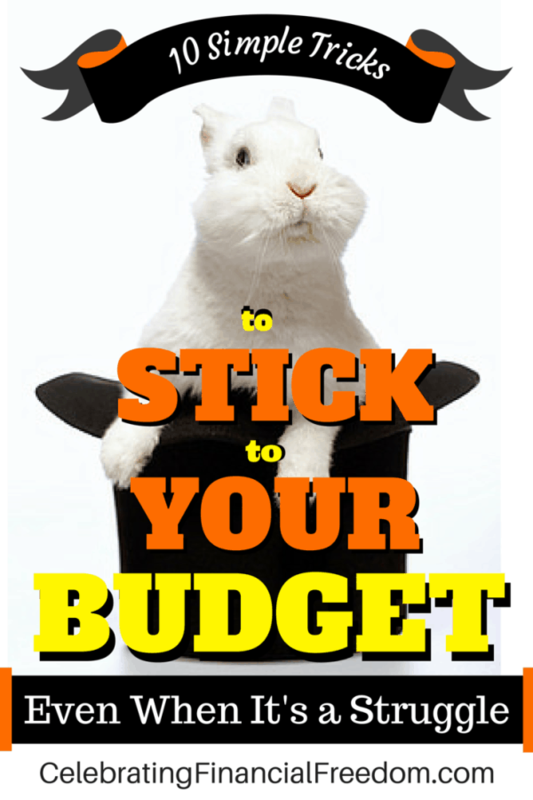 They will keep you accountable for how you’re doing at sticking to your budget. Give them permission to be a little tough with you if they need to. Just like having a personal trainer, having someone else involved to keep you motivated can be just what you need to stick with your budget. I’ll tell you from personal experience that getting rid of all consumer debt is one of the best things Angie and I ever did. We stopped wasting money, reduced our stress levels, and have more money at the end of the month. Achieving true financial freedom means not being a slave to the lender. Commit yourself to going cash only. Cut up the credit cards, get rid of the car payments, and eliminate everything that drains your finances dry. 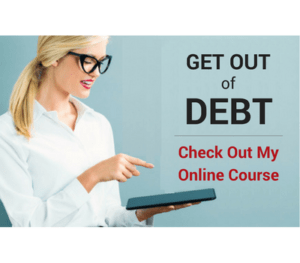 I’ve written several articles on how to get rid of different types of consumer debt which you can find below. When you’re doing a written budget and you get rid of your credit cards, that means you have to start using cash for all your transactions. When I say “cash” I mean green money, debit cards, and checks. Anyway, the most effective way to manage the cash you need for your monthly budgeting plan is to use the envelope system. I won’t go into all the intricacies of how to use that here. But I'll tell you that using the envelope system is extremely important to staying on track with your budget. Using the envelope system along with your budget allows you to never spend more than you make, which automatically means you’re handling your money better than most everybody else in the world. The beauty of a written budget is that you spend money on paper before you spend it in the real world. This is a great thing because it forces you to look at your spending objectively and keeps you from spending money impulsively. However, if you find yourself spending money out of your envelopes on impulse buys that the money in that envelope was not intended for, that might be a sign that you need some professional help. Sticking to your budget doesn’t have to be hard if you use these tips to set yourself up for success. It definitely takes a little getting used to at first, but as you continue doing it every month it becomes ingrained into your life. You’ll wonder why you never started sooner! 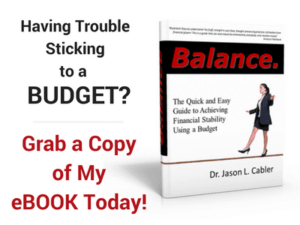 Question: Got any more tips on how to stick to your budget successfully? Leave a comment on our Facebook page or below in the comment section.